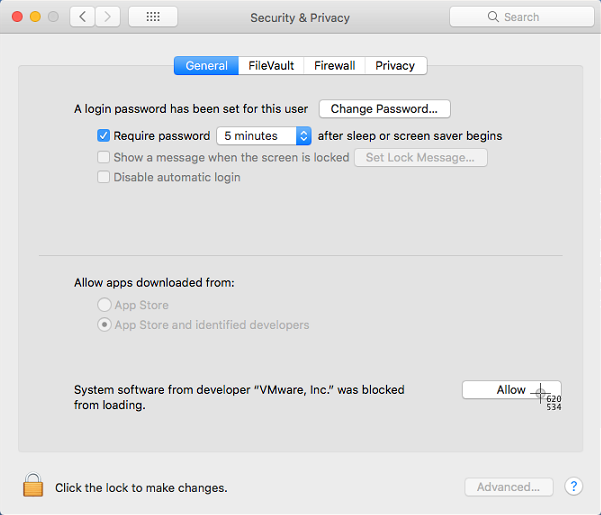 I am trying to install some software, (at this particular moment I want to install VirtualBox, although this issue has happened with other software), and I have to click "Allow" in System Preferences, in the Security & Privacy -> General window. When I click on it, nothing happens, and the button and message stays there. I looked online, and all of the solutions say that there is some kind of program running that captures/forwards mouse clicks and such, and thus I am not "directly" clicking on the Allow button. The problem is that I don't know of any programs that I'm running that do this. 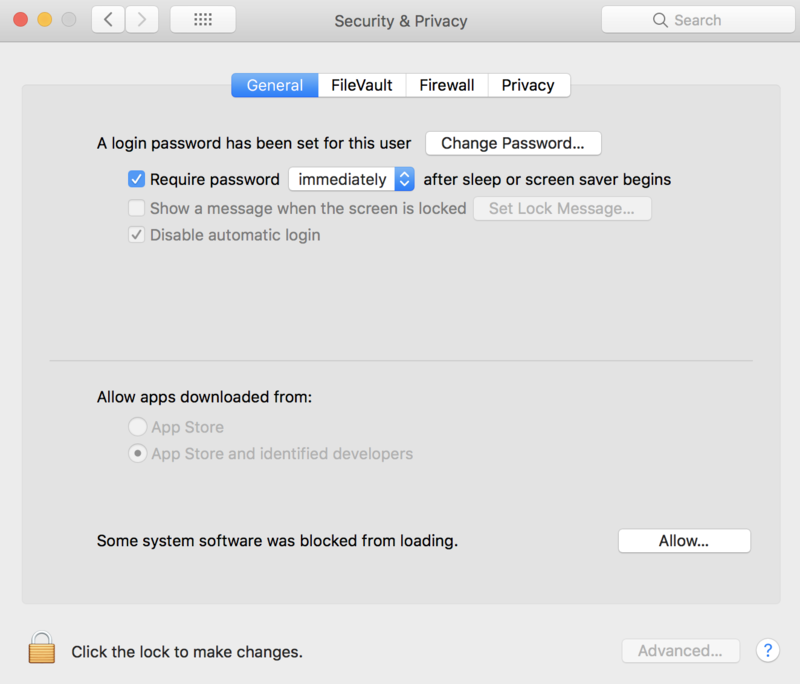 I have tried unlocking the system preferences page before clicking "Allow"
*Note: the Privacy & Security page may need to be unlocked before 'Tab' will work. 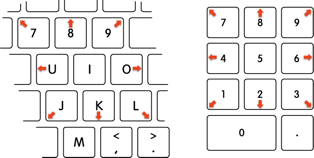 *Note: After open Security & Privacy and selecting General tab you should push tab key to select allow button after that push space bar key! If you are connecting to the computer remotely with software such as TeamViewer, VNC etc. it will not work, because macOS doesn’t allow you to press “Allow” button through other applications. You have to directly press that button with your trackpad. Nothing was working for me, local clicking, keyboard selection, nothing. Turns out it was a piece of security software that hadn't been authorized correctly. This security software was the process actually "performing" the click. To find out what bit of software or hardware happens to be being blocked, you have to establish what Process ID it uses, then identify the software/hardware from its PID, and go from there, either killing or uninstalling the hardware/software, and repeating until the click succeeds. Man I hate macos. Open Activity Monitor and sort by the PID field. Find the PID, [force] quit the process, try to click/press/tap/space/automator the button again, should work. If not, repeat this process - probably another PID blocking you now. Note, the above is NOT a workaround for being unable to use remote software - that just won't work unless you completely disable SIP. Try safe mode. It should disable any services running at the background, letting you to click the Allow button. You can get into safe mode by rebooting and holding shift during reboot. It worked for me when I quit Chrome before clicking 'Allow'. Not the answer you're looking for? Browse other questions tagged install system-prefs click . “Could not load Vox Preferences preference pane.” Solutions?